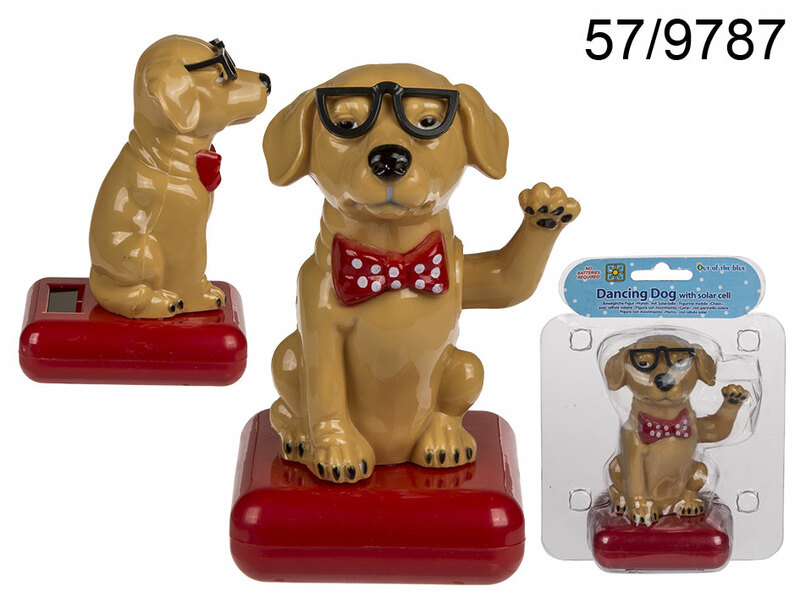 Adorable dog wearing glasses and red bow tie with polka dot patter - a figurine that moves. It does not need any batteries to dance - it is powered by the sun and moves thanks to the solar panel built in the base. Energy-friendly figurine that will instantly make you smile.